Viking Robotics is a FIRST Robotics team located in Huntington Beach, California. 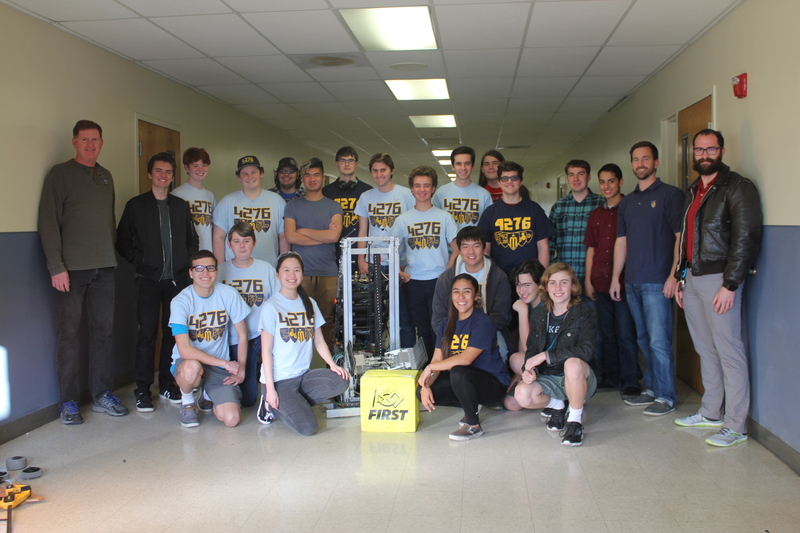 Each year at Marina High School, over thirty student members work with adult mentors to design and construct a robot to compete in the FIRST Robotics Competition. Every student has a specific role in our team, and our members all contribute to a team effort. From our involvement in robotics, we learn a set of skills, from leadership to cooperation, that will benefit us in our futures. Viking Robotics stresses the vitality of learning in an environment that is friendly, competitive, and most importantly, fun. FIRST Robotics is a wonderful program. I love FIRST because… I love sharing my passion for engineering to build robots!